Royal Caribbean is making new waves in Hong Kong’s cruise travel history with the grand entrance of Quantum of the Seas. the most technologically advanced ship ever. The berthing of the largest cruise ship to enter Hong Kong was celebrated at a prestigious ceremony that was held on 20 June, and was attended by government officials, key industry stakeholders and loyal guests. The event also commemorated Royal Caribbean’s one-year success in driving local cruise demand and standards by investing millions to launch a fully-owned and operated office and the home porting of Voyager of the Seas in Hong Kong. The berthing ceremony, which saw senior government dignitaries and key VIPs attending, was held onboard the 16-deck, 168,000 ton Quantum-class Quantum of the Seas. “The arrival of Quantum of the Seas reinforces Royal Caribbean’s commitment to the region’s fast-growing cruise travel market. Cruising has been gaining popularity over the past few years, with Hong Kong region becoming a key strategic location for the Asia and China markets. Launching in April 2016, a fourth Quantum-class ship, Ovation of the Seas will join Quantum of the Seas, Mariner of the Seas, Voyager of the Seas and Legend of the Seas in the China seas. The five ships will comprise the largest fleet deployment for any cruise brand in Greater China, home porting in four metropolitan Chinese cities — Shanghai, Tianjin, Hong Kongand Xiamen,” said Mr. Bayley. The ceremony was followed by an extensive tour that saw guests experiencing the unique Quantum-class innovations by Royal Caribbean International. These included the North Star aerial observatory, a glass capsule that takes guests more than 300 feet above the ocean for incomparable panoramic views; RipCord by iFLY skydiving and FlowRider surfing simulators; and SeaPlex, the multi-purpose sports facility offering a variety of activities, including a first for any cruise ship, bumper cars. 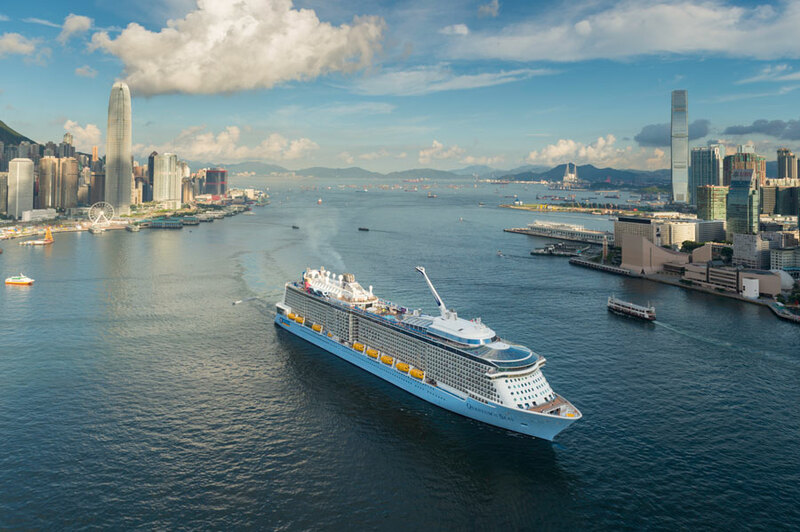 The grand arrival of Quantum of the Seas caps a successful first year for Royal Caribbean’s operations in Hong Kong which has experienced a stellar increase in revenues. By the last quarter of 2015, it is expected that more than 35,000 Hong Kong guests will have boarded Royal Caribbean International cruises, of which more than 20,000 guests will have sailed on Voyager of the Seas, proving the decision to home port Voyager of the Seas in Hong Kong to be a strategic success. Following strong demand, the 2016-17 vacation season is already being pre-booked. Among the varied destinations, Okinawa, Japan is the most popular choice for Hong Kong cruise travelers, with the average age range shifting to a younger demographic due to the strong emphasis on family packages and facilities catering to the younger generation. 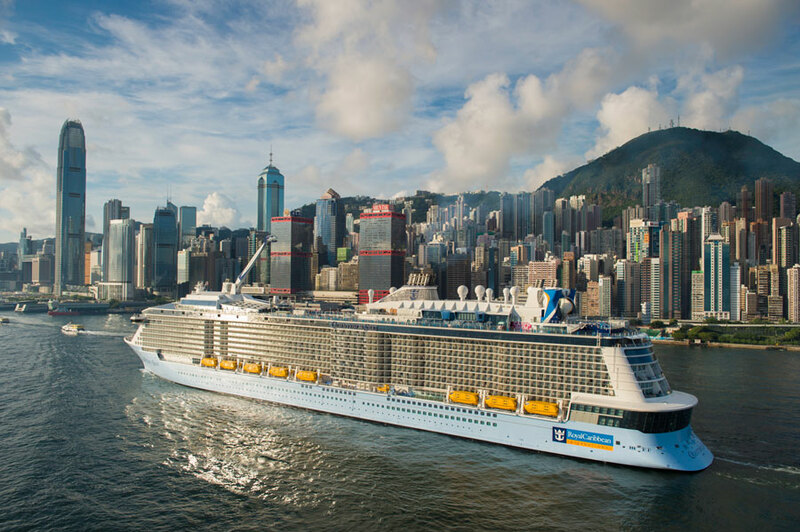 The strong interest has prompted Royal Caribbean International to extend the home port season for Voyager of the Seas in Hong Kong to five months from May to October for next year. “Moving Voyager of the Seas to home port in Hong Kong was a strategic move that has enhanced our presence in the very important Asia-Pacific region. It has made cruising more attractive and accessible to travelers in this region. Coupled with our world-renowned, friendly and engaging ‘GOLD Anchor Service’ and the strong support of all the top travel agencies in Hong Kong, we have established a strong business model in Hong Kong in the past year. With further initiatives and investments, we are looking to bring cruising into the mainstream travel market,” said Mr. Bayley. Royal Caribbean International will homeport Quantum of the Seas in Shanghai, offering regional cruise aficionados more choices to enjoy the impeccable service that has become the trademark of Royal Caribbean. She will return to Hong Kong briefly during the Christmas season this year after the homeport season of Voyager of the Seas.